Found 85 blog entries for February 2015. On Saturday, February 28 dance the night away to sounds of the Pasco High and Chiawana High jazz bands at the Pasco Red Lion Hotel located in 2525 N 20th Avenue Pasco, Washington. 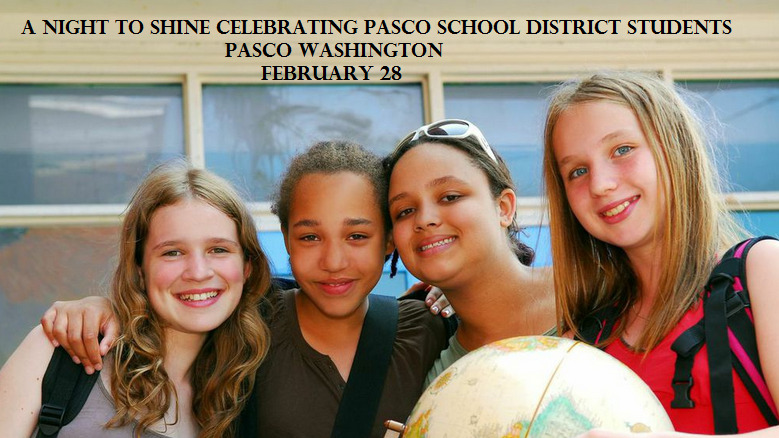 Come with your friends and enjoy a remarkable dinner, silent auction and mystery wine table all benefiting scholarships and classroom grants for Pasco School District students and staff. The Annual CBC Faculty Art Exhibit is open today through March 12 at the Esvelt Gallery, 2600 N. 20th in Pasco, Washington. If you love non-stop action, randomness and just an exciting game, come and watch a hockey match between Tri-Cities Fever vs. Billings Wolves on Saturday, February 28 at 7:05 in the evening. This is the Tri-Cities Fever season opening event! Tri-Cities Fever is the regions most exciting indoor arena football team that provides affordable entertainment in the form of hard hitting, action packed, in your face football. Have you caught the Fever? On February 28 & March 1 check out the Tri-Cities Great Outdoor Expo, Gun Show & Chief's RV Sale happening at the TRAC Center, 6600 Burden Boulevard in Pasco, Washington. The Tri-Cities Great Outdoor Expo is a retail event featuring products, services and information for the outdoor enthusiast. It is Eastern Washington's only Spring show that includes the best deals on products for virtually everything the Great Outdoors has to offer! This expo features seminars and includes the Pasco Gun Show, the animal show "A Walk on the Wild Side" and Chief's RV sales. On Saturday, February 28, 8:00 in the evening Camerata Musica proudly presents "Auryn Quartet" at the Battelle Auditorium, 902 Battelle Boulevard in Richland, Washington. 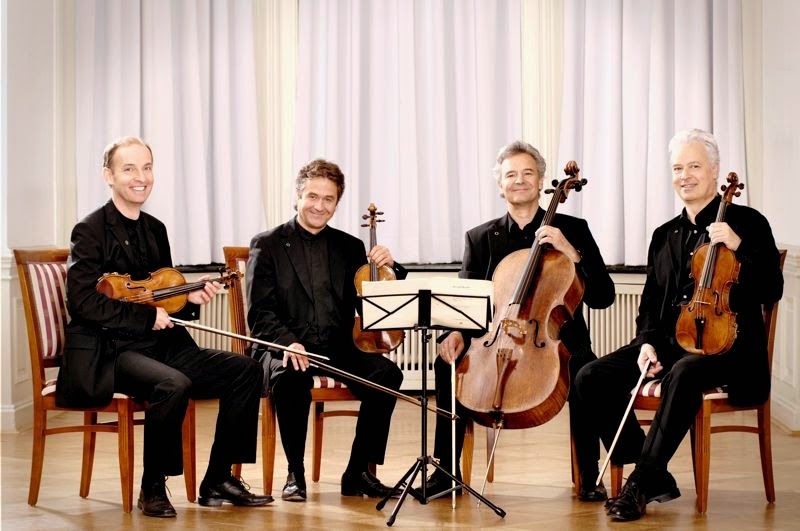 An outstanding career spanning three decades has made the German-based Auryn Quartet one of the most sought-after and respected ensembles performing around the globe. The Quartet has not changed its personnel over this long period, and continues with its fresh and pioneering approach to all genres of music. The evening program will be featuring works by Haydn, Dvorak, and Beethoven. First Lutheran Church located at418 N. Yelm St. in Kennewick, Washington will be having their Sons of Norway Lutefisk & Meatball Dinner on Saturday, March 7. Seatings will be at 12:00 noon and 2:00 in the afternoon. Please reserve by February 26. 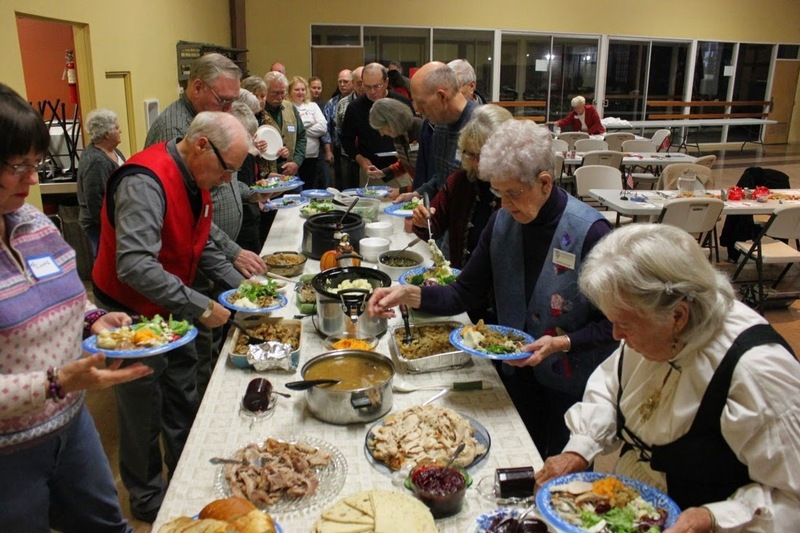 The annual Sons of Norway Lutefisk & Meatball Dinner will include the traditional lutefisk, Swedish meatballs, potatoes and vegetables, Norwegian lefse and cookies. The event will feature Scandinavian arts, crafts and history. Sol-Land 86 is a Sons of Norway lodge serving the sunny Tri-Cities and Walla Walla, Washington area. The lodge promotes and preserves the culture and heritage of Norway through heritage meetings, classes, public events and community service. Everyone is invited to the join the Richland Run Fest on Saturday, February 28. This will surely be one great event that you shouldn't miss! All the races, including Marathon, 1/2 Marathon, & 5K, will start and finish by the Fingernail in Howard Amon Park in Richland which is right next to the Red Lion. This event is sponsored by the Three Rivers Road Runners in the Tri-Cities. The Marathon and the Half Marathon start at 9:00 a.m. The 5K Run starts at 9:15 a.m. The Marathon entry fee is $80.00. The Half Marathon entry fee is $50.00. The 5K entry fee is $25.00. 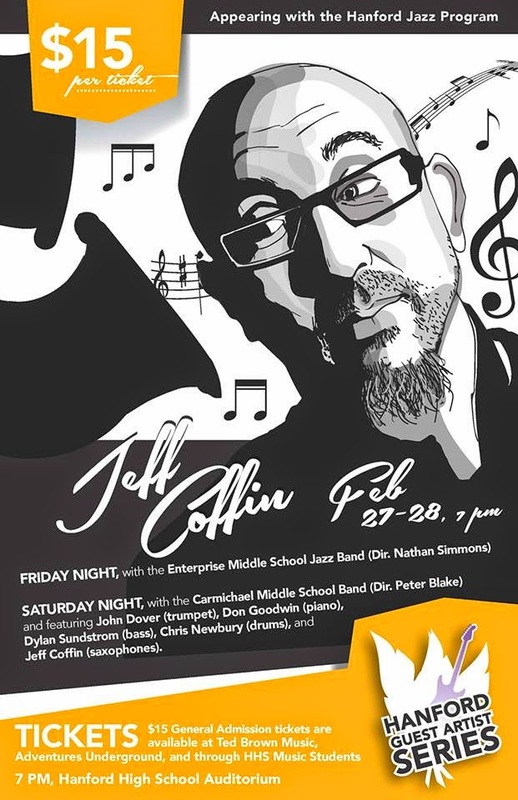 The Hanford Guest Artist Concert Series will be featuring internationally recognized saxophonist, bandleader, composer and educator Jeff Coffin (Dave Matthews Band and Bela Fleck and the Flecktones) on February 27 and 28. Jeff has been traveling the globe since the late 20th Century. 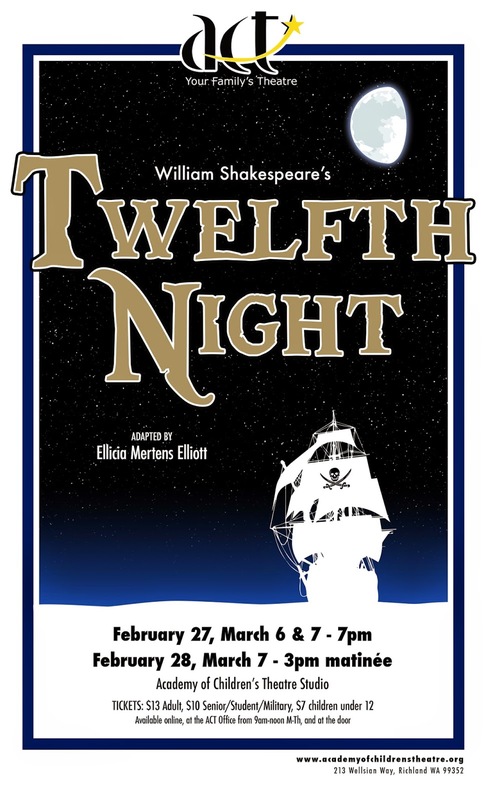 The Academy of Children’s Theatre is staging a special production of the Shakespeare classic, “Twelfth Night.” The story tells about a set of twins separated in a shipwreck, Twelfth Night is a comedic romp featuring mistaken identities and romantic sub-plots. Tickets are now available online, by calling 509-943-6027, or by visiting the ACT office. Friday and Saturday at 7:00 p.m. The 12th annual major fundraising event, "Heart for the Arts" of the Academy of Children Theater’s ’s is happening on Saturday, February 28 at the Holiday Inn Express, 4525 Convention Place in Pasco, Washington. Event starts at 5:30 in the evening. The fundraiser will highlight our autism program "Spectrum on Stage" and its founder, Julie Schroeder. The evening features outstanding entertainment by participants in ACT, delectable wines, exciting auctions, tasty cuisine, and an inspiring tribute. 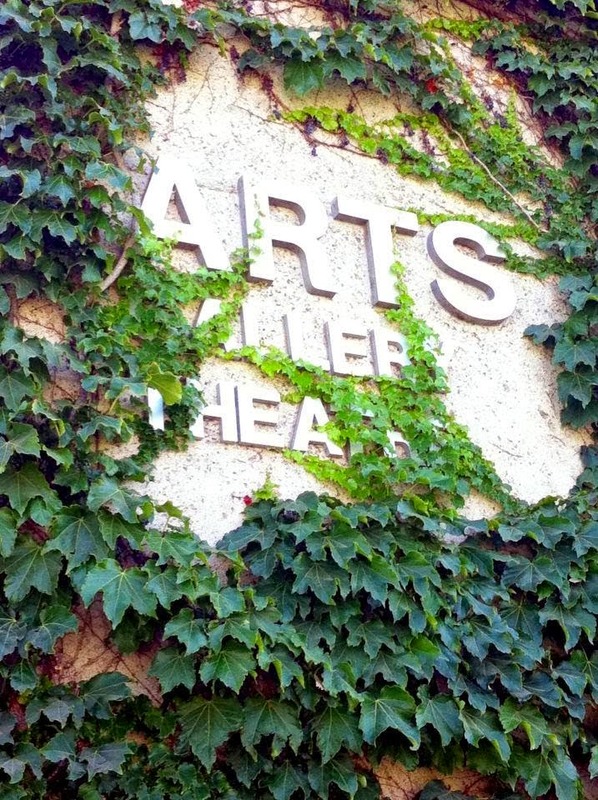 The event raises critical funds for ACT, allowing the organization to offer performances, classes, and special programs at an affordable cost for families.